The Official Hayabusa Glory Fight Glove launched in a grand fashion during Glory 23 fight week in Las Vegas. 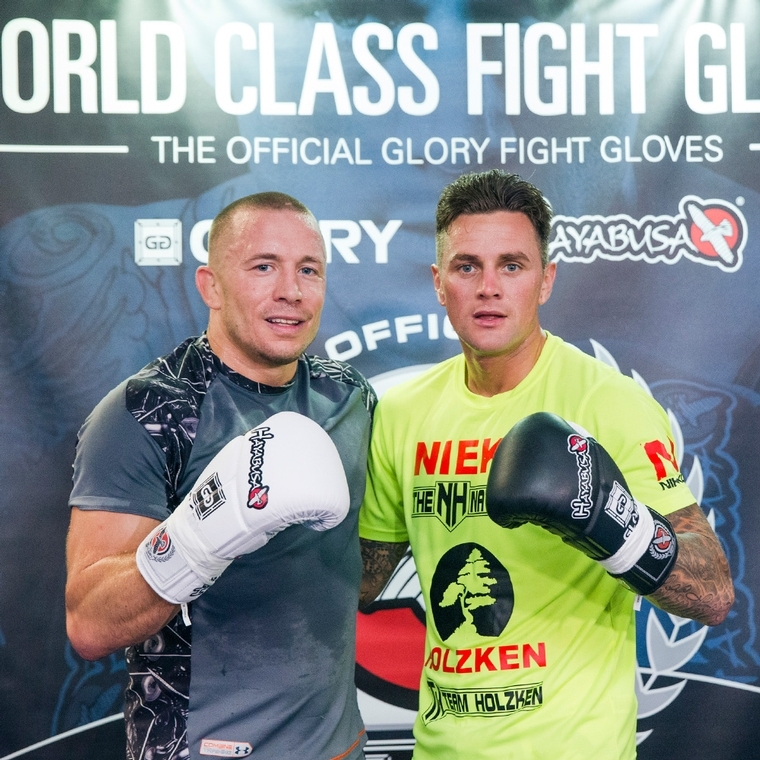 The UFC Champ and Kickboxing welterweight Champ, Georges St-Pierre and Nieky Holzken respectively, were testing out the new combat equipment. Here’s some footage of the gloves in action with GSP. The official debut came at Glory 23, live on Spike TV as the world-renowned strikers stepped into the ring sporting the World Class competition gloves for the first time. 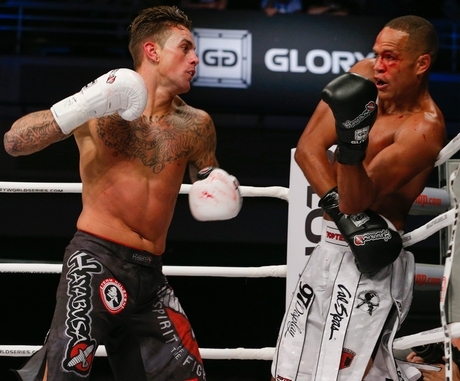 Hayabusa® Athlete, Nieky Holzken struck his way to victory in the main event with a third-round stoppage over Raymond Daniels. Therefore claiming the Glory Welterweight Championship title once again. In addition, Hayabusa was there to witness all the action backstage and up close in the ring. See for yourself! With the exclusive fight glove of the world’s premier kickboxing organization, Hayabusa continues to perfect equipment in the combat industry. Delivering the best gloves for the best strikers. First of all Hayabusa Glory Gloves provide optimum hand and wrist alignment for maximum performance and therefore preventing injury. These gloves are crafted with an inner foam complex which is designed to absorb unwanted energy transfer. Fully protecting your hands on impact. Finally, the traditional lace-up closure ensures your hands and wrists will get a customized, secure fit every time during. The highest quality of glove for the highest levels of training.